If elegant and classy is your go-to for a birthday card, we've got the perfect card for you. 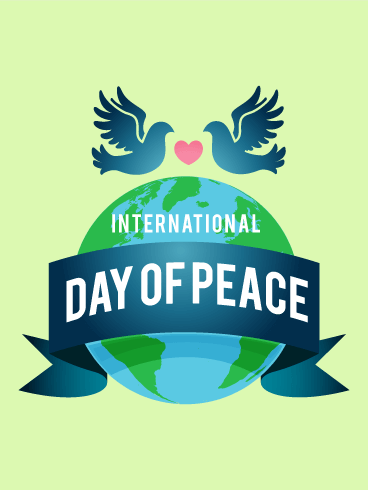 The variety of colors makes this card pop, while the pastel tones ensure that it's not over-the-top. 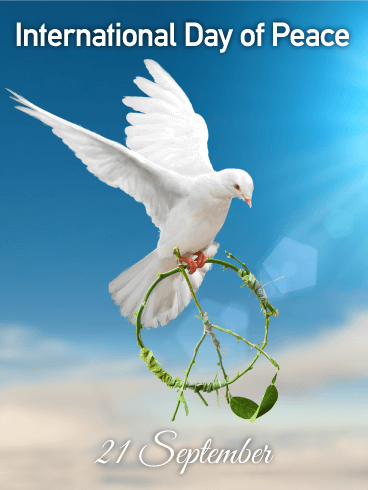 Of course, the flowers and bird are simply stunning. The sweet sentiment of this card really makes it stand out above the rest, rendering this the best classy birthday card around. Has your sibling always quack-ed you right up? 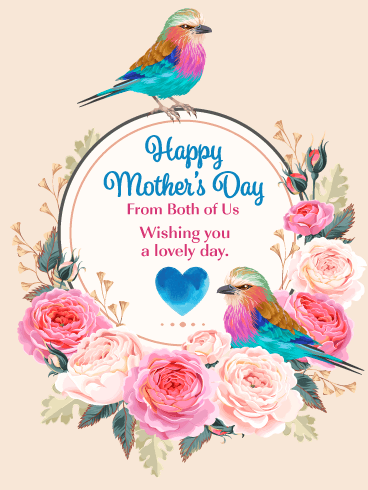 Well now you can return the favor by sending them this hilarious (and adorable) card with two fuzzy, baby ducklings on it. 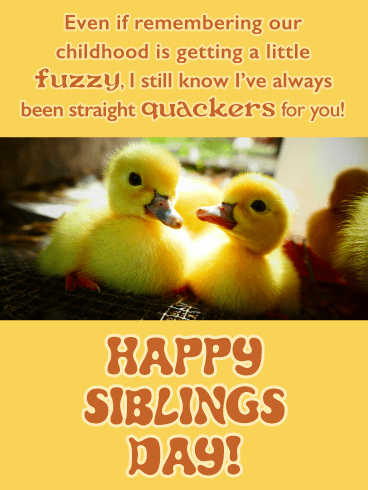 The Quackers For You Funny Happy Siblings Day Card claims that even if remembering childhood is getting kind of fuzzy…you do know you’ve always been straight “quackers” for your brother or sister! 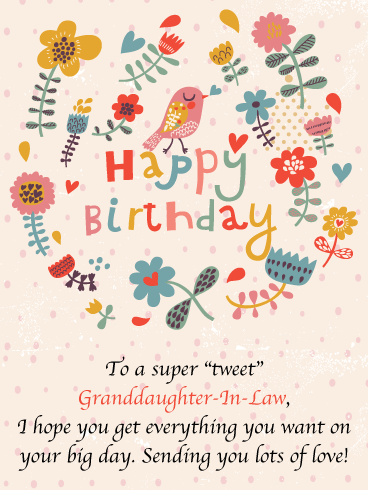 Need a card for your super “tweet” heart of a granddaughter-in-law? We’ve got you covered! 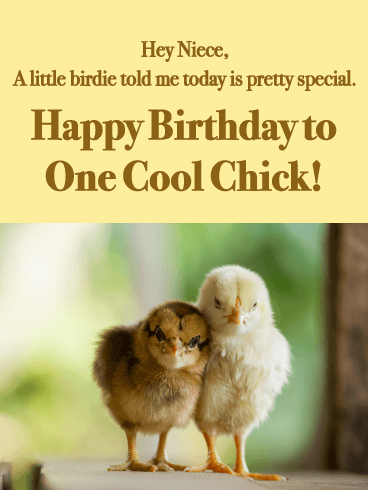 Send her the One Tweet Bird Funny Birthday Card to put a big smile on her face and in her heart. 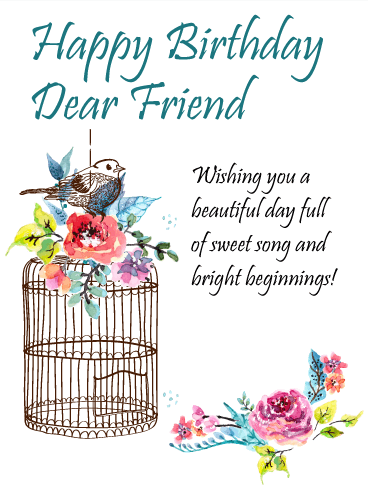 With a sweet little pink bird and lots of flower doodles, this card couldn’t be much cuter! 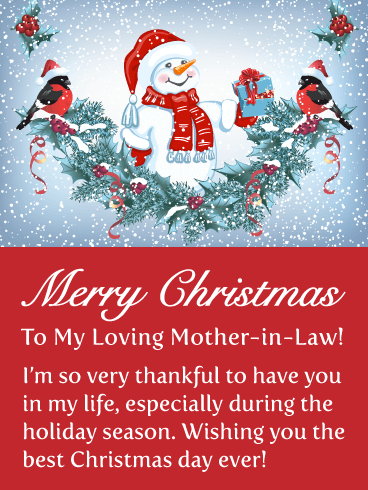 You care about your granddaughter-in-law and want her to get everything she wants on her special day, after all, it only comes around once a year! Know someone who loves jokes? Enjoys a good play on words? 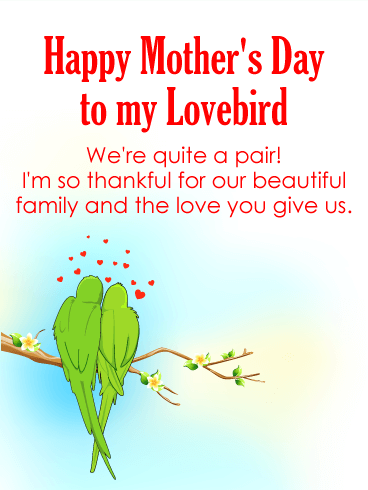 Then they’ll appreciate the Have a Good Bird Day happy birthday wishes card! 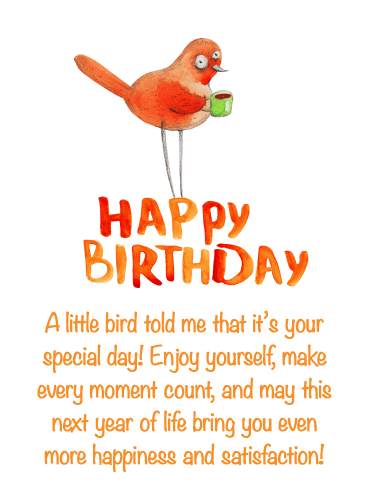 The card quips that a little bird told you about their birthday while a silly illustration of said bird gazes knowingly at them over a cup of coffee. 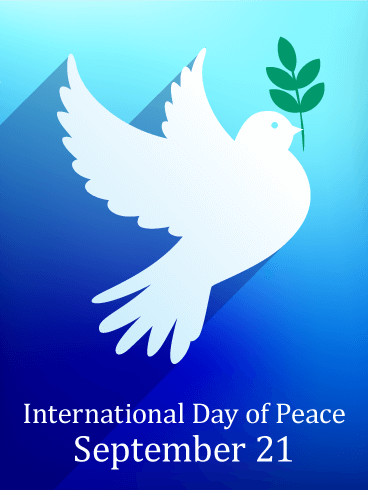 The message goes on to remind them to make important moments count and wishes them much happiness in life! 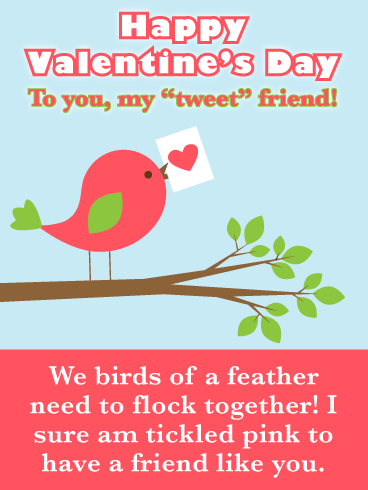 For your “tweetheart” of a friend this year, send this adorable Tweet tweet Happy Valentine’s Day card! 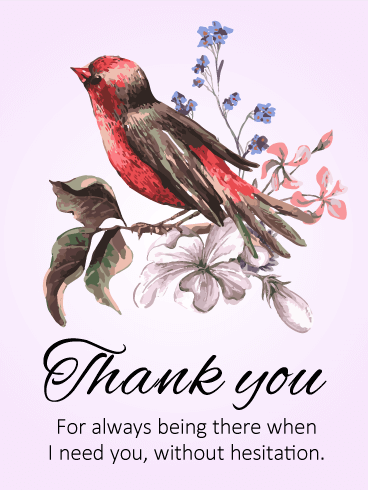 Birds of a feather, flock together as the saying goes, so we’ve included it on the card to let your sweet friend know you’ve got their back and will always be there for them! Valentines Day isn’t just for lovers, it’s for friends too! It's your mother's birthday which means it's time to celebrate! Let this cute parrot remind her! This clever and funny birthday card displays a pun that will give your mother a laugh. 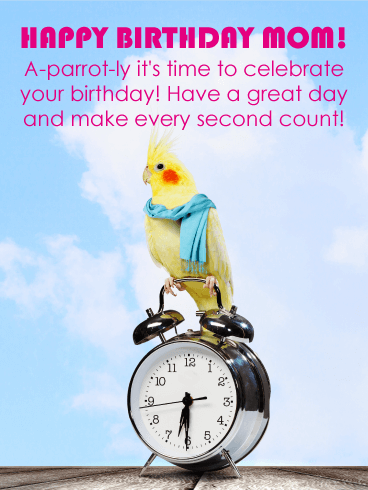 It showcases a parrot sitting atop a clock and the matching saying, "A-parrot-ly it's time to celebrate". Your mother will love receiving this unique birthday card for her special day. 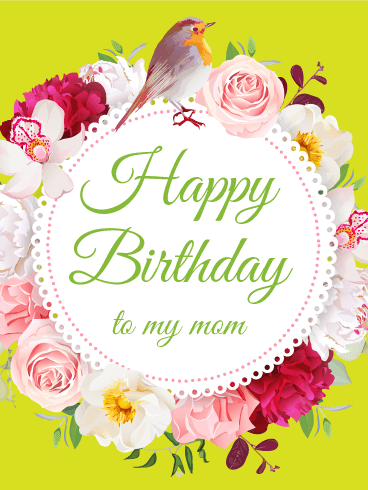 Send this birthday card out to your mom soon because every second counts! Aunts may not raise us, but they still leave a profound mark. 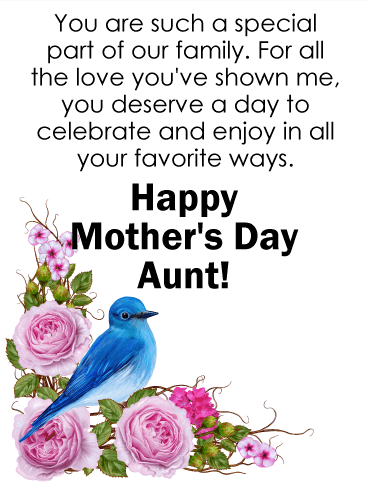 From spoiling us with candy to allowing us to stay up beyond our bedtimes, aunts are frequently our favorite people in the world. So it's only right to send her success and joy for her birthday! 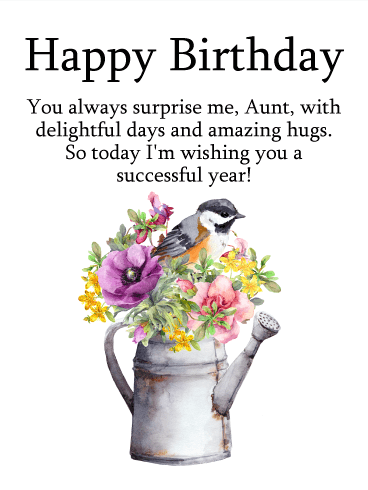 Tell your aunt thank you and happy birthday with this beautiful card and let her know how much you love her. Light and airy, nothing is a refreshing or calming as a spring day. But no one is as important as the person who can make you feel like spring in the cold bits of December or the dog days of summer. 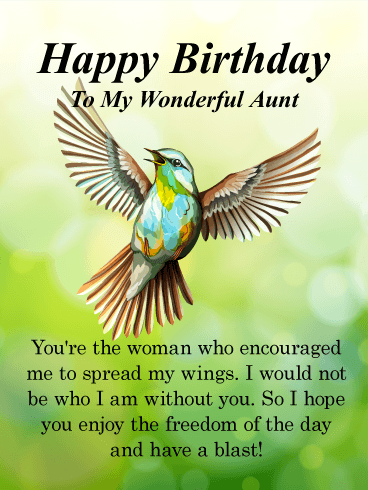 Tell your aunt how much she means to you on her birthday. 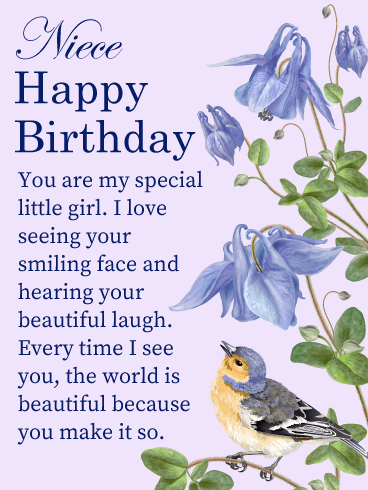 Share the warm she gives you by sending this floral birthday card. On birthdays, everyone should be gifted sunshine. 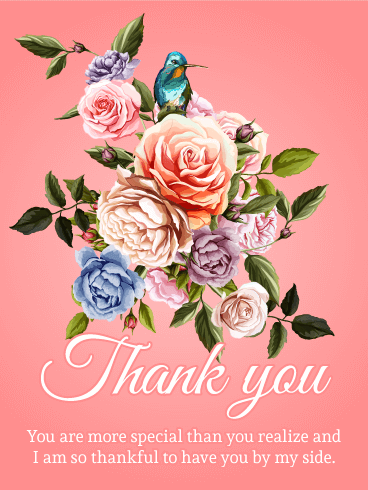 The stretch and ache of finally finding freedom can only be attained by those who have the support of others, and your aunt has been instrumental in your life. Tell her "happy birthday", tell her "thank you", tell her "enjoy yourself." 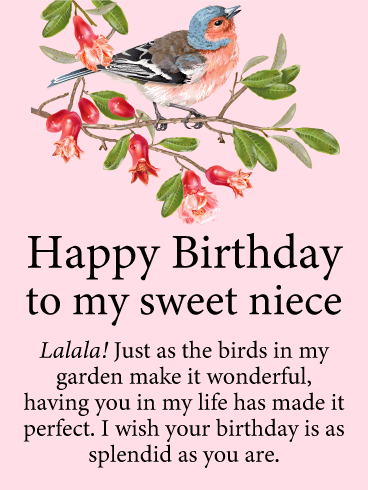 This bird is a reminder of all we can be, and this birthday card is your message to her saying all the help she’s given will be returned. Let this amazing woman know how awesome she is. 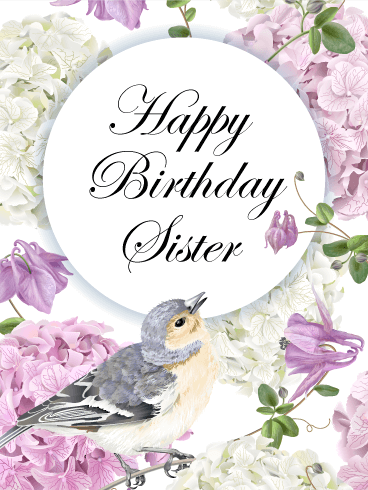 Let your friend know you're two birds of a feather (pun intended) with this beautiful birthday card! The blue, patterned background is fun with flowers and bold without being over the top, while the birds add a whimsical element. What's not to love?! 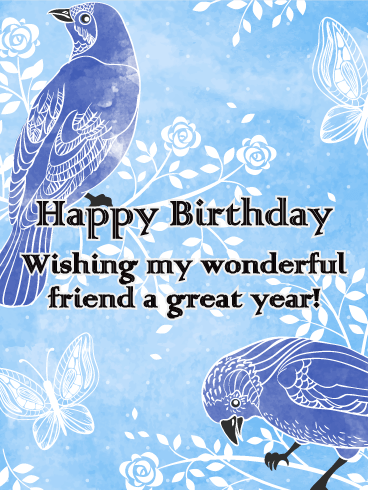 This is the perfect birthday card to wish your friend a great birthday and even better year ahead. 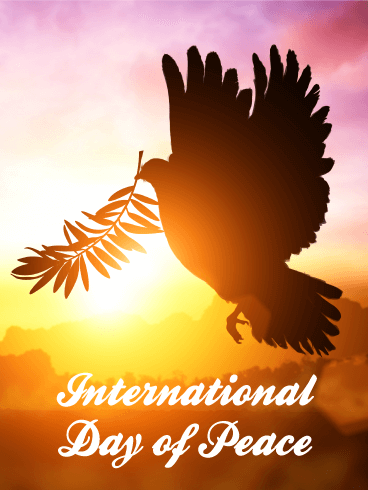 If you think birthday cards are for the birds, think again! 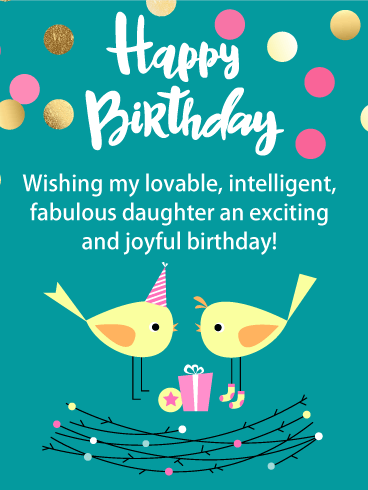 Fun-loving birthday greeting cards are all the rage! 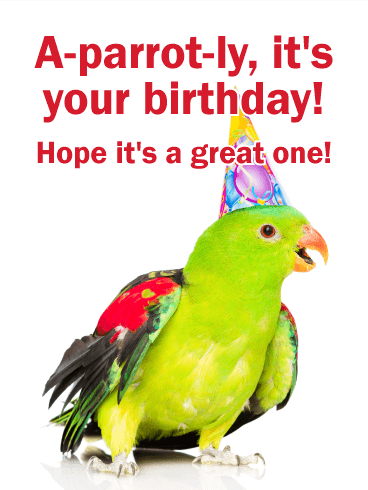 But don't take my word for it, just talk to the birthday parrot over here. 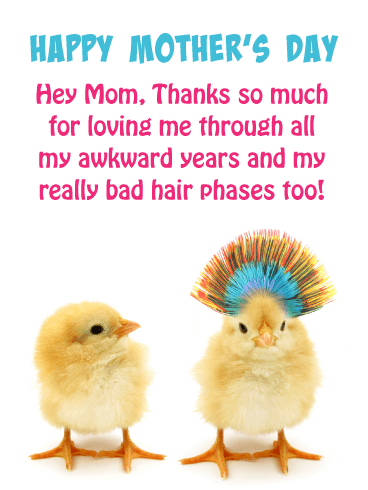 Break out the party hats and send over a humorous card to the birthday guy or gal today. Celebrate their special day with a hand-picked pun. A little bird told me your friend is the sweetest! 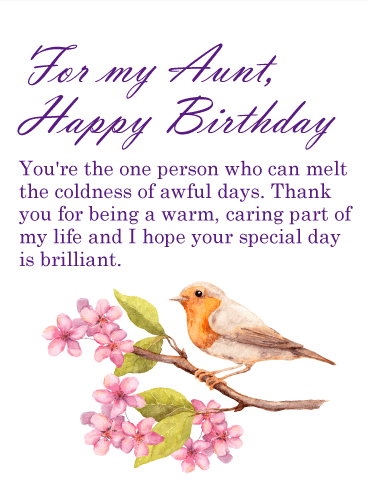 Send this delightful and charming birthday card to a good friend today. 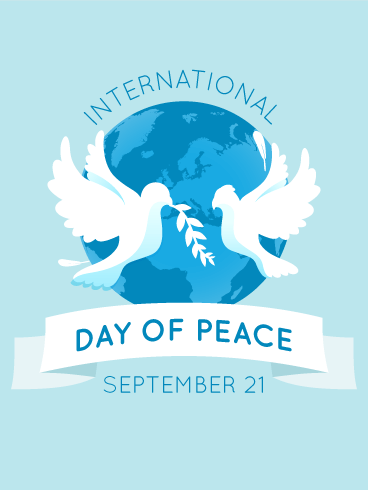 Send a message of hope and happiness for a wonderful birthday. 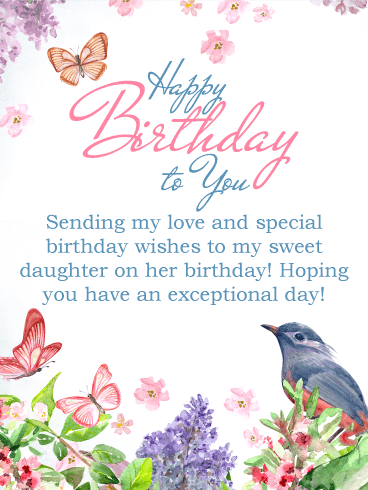 This beautiful birthday greeting card is simple and elegant in every way. 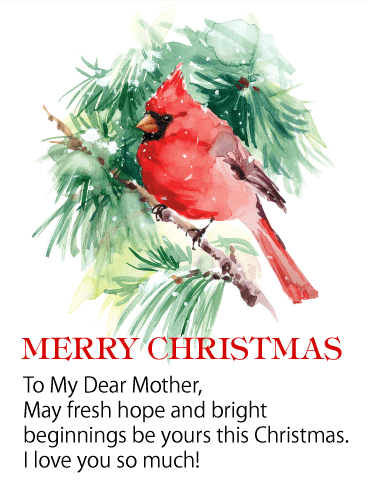 The warm wishes and delicate watercolors fill the card with beauty. 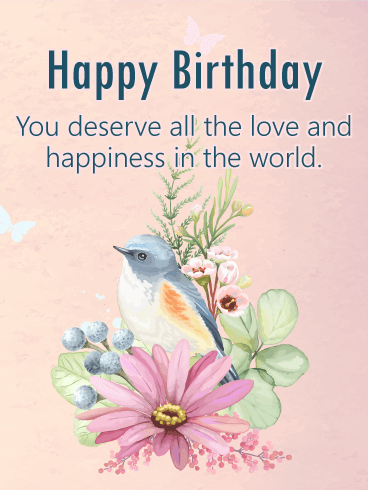 Why not fill your friend's day with beauty, and send a special birthday wish card today. 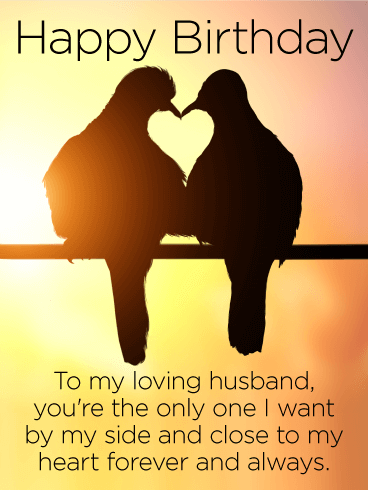 Two lovebirds perched side by side in front of a glowing sunset form a heart between them, creating a stunning backdrop for this heartfelt birthday card to your husband! He's the one you want by your side and in your heart through all of life's journeys, which is beautifully expressed in the sentimental message below. 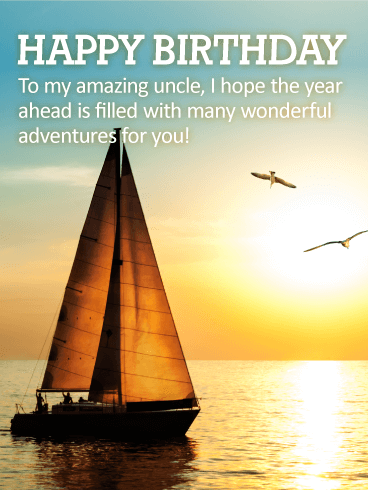 Your amazing uncle will be setting sail for a happy birthday when he gets this thoughtful birthday card from you! The image of a sailboat heading into a beautiful sunset sets the tone for a day and year ahead filled with health, happiness and the promise of many new and exciting adventures! 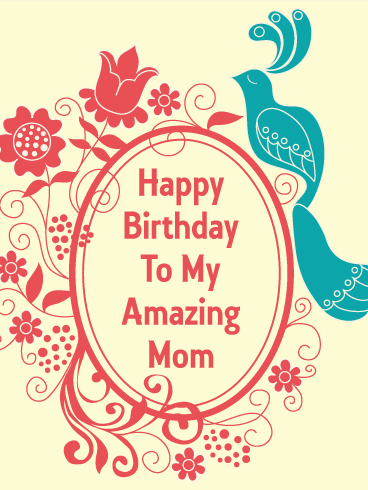 This birthday card is perfect for the mother that appreciates fine design and art. 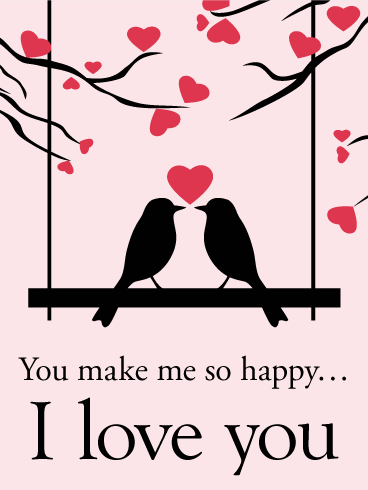 This beautiful, intricate card design is perfectly matched with a simple but moving phrase. The bold and contrasting color choices of turquoise and coral accentuate the gorgeous flower scroll work and peacock. 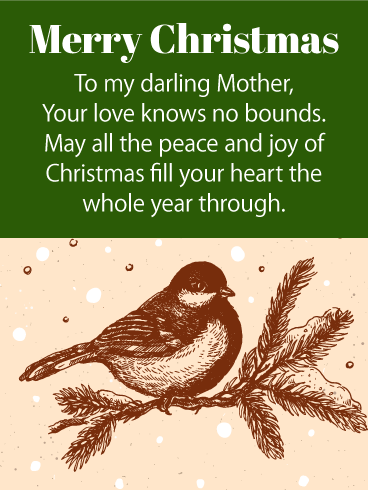 The red font of the message is just bold enough to stand out from the image. 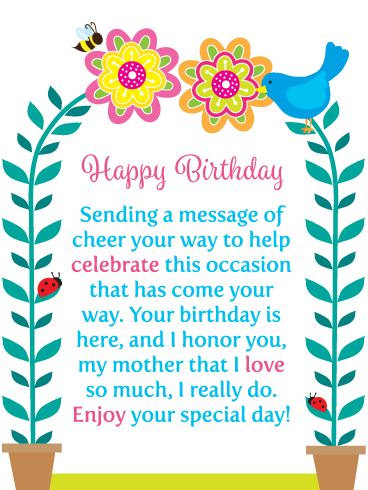 This beautiful birthday card is perfect for the sentimental mother. 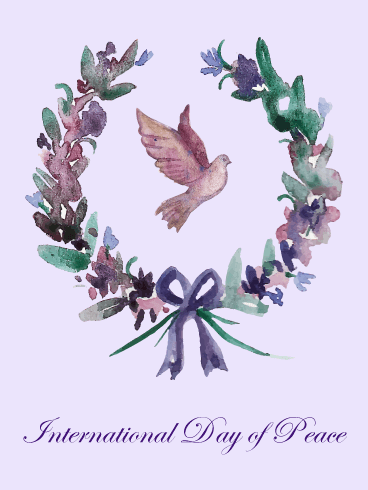 The cute and pretty bird, roses, and lace motif is well designed and well balanced. The pale peach background highlights the intricate, lace circle design and the black lettering in a delicate script stands out perfectly from the design. 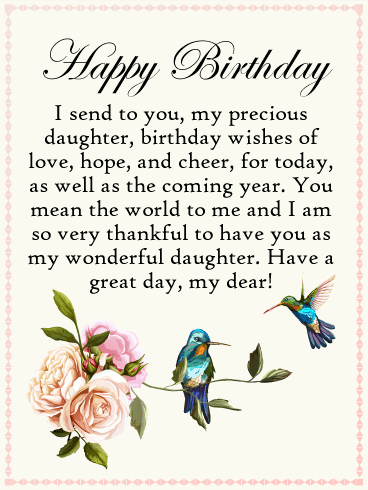 This is a wonderful birthday card that any mother would love to receive.